After booting you need to select Joystick or Keyboard. If you select Keyboard then you’ll need to select “FIX” to assign the keys for up, down, left and right. You’ll also then select Skill Level. These are reverse of what’s typical. Level 5 is the easy level (start here). Level 1 is so fast you can’t hit the keys fast enough. Here I’m selecting Skill Level 5 under a flashing cursor. The latest item I purchased is the Mega Audio Card from A2Heaven. It supports MockingBoard, SAM and ALF audio card tech. I installed it in my FastChip//e and after a few iterations it worked fine. 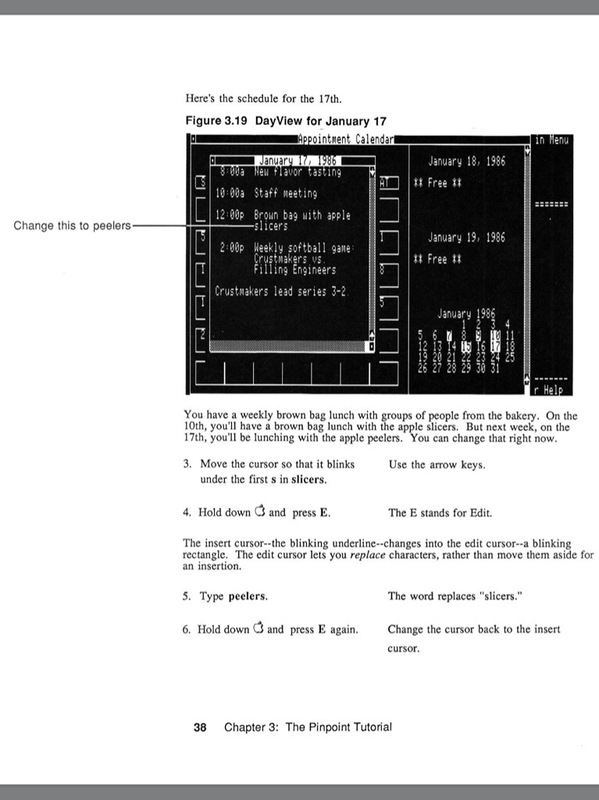 I initially installed it in Slot 3 as this was the only open slot in the IIe. But it would not allow me to access the Mega Menu. The Mega Menu is where you assign sound tech cards to specific slots. 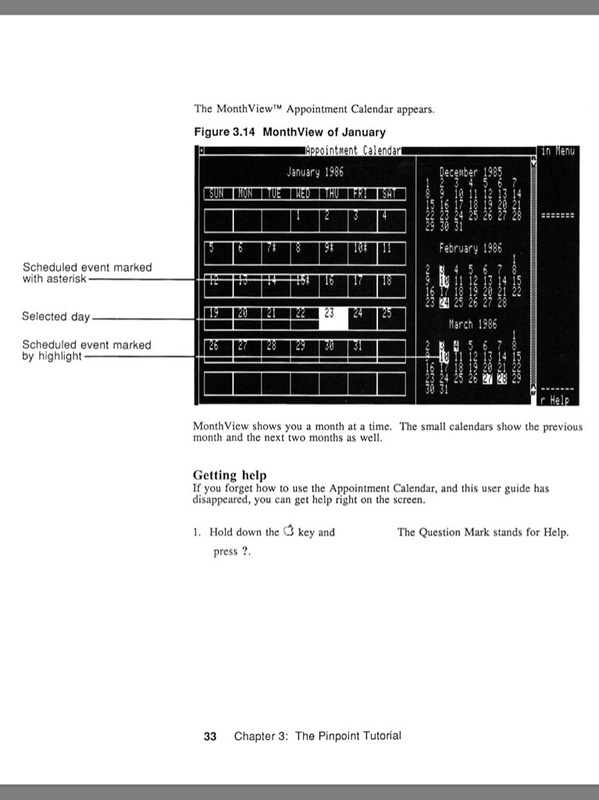 The Mega Menu is accessed through the “monitor” function from Basic prompt using the call -151. Then CFFF, the CX00 (x being the slot number) and then C800g to exit to the Mega Menu. This brings up the Menu. After emailing back and forth with the designer, Plamen, it turns out slot 3 will not work. So, I moved it to slot 4, removing the mouse card temporarily and it worked. I also tested it in slot 1 and slot 2 and it worked fine. Since I need my Mouse in slot 4 I removed my serial card from slot 1 and installed the Mega Audio there. My final configuration came out as Mega Audio in slot 1, FastChip//e in slot 2, slot 3 empty, Mouse card in slot 4, Liron Card in slot 5, DuoDisk card in slot 6 and SCSI card in slot 7. I ran SkyFox, which supports the MockingBoard and it sounds great. 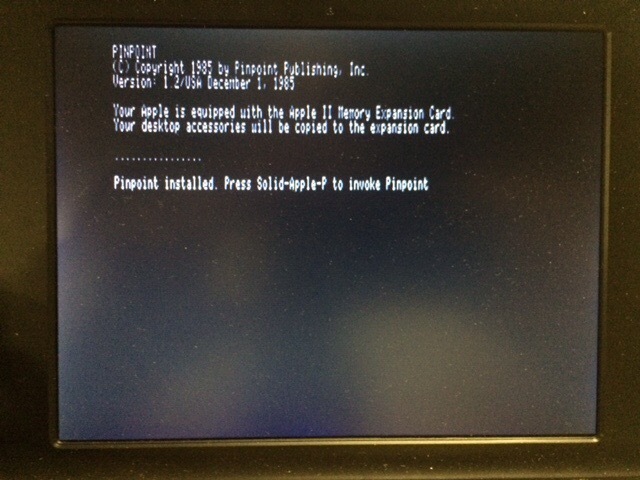 One note: The Mockingboard Utilities Disk assumes your card us in Slot 4. Therefore you’ll get no sound when playing the Mockingboard Utilities disk with the Mega in any other slot. The installation of the Mega Audio card in the IIGS was a real trial. 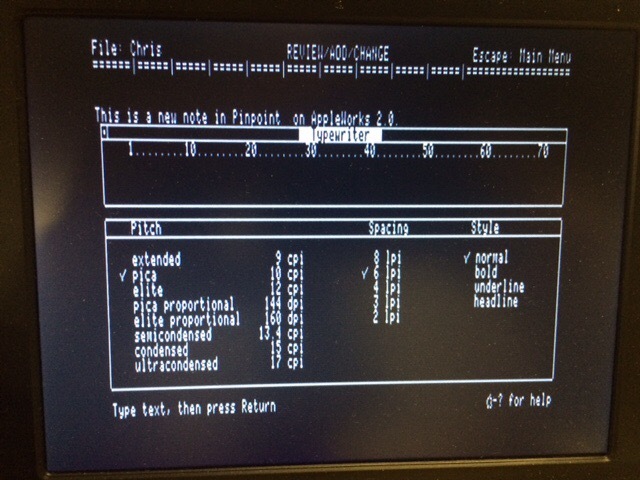 You can only get to the Mega Menu by running ProDOS 8 and exiting to Basic, then access the “monitor”. It will not work if you boot to GSOS 6.0.1 and then run basic. 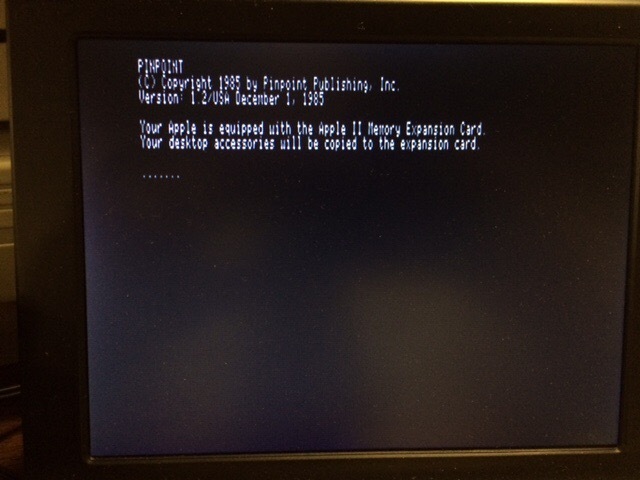 I booted to a disk running ProDOS 2.4.1 with BitsyBye and was able to access the Mega Audio Menu. 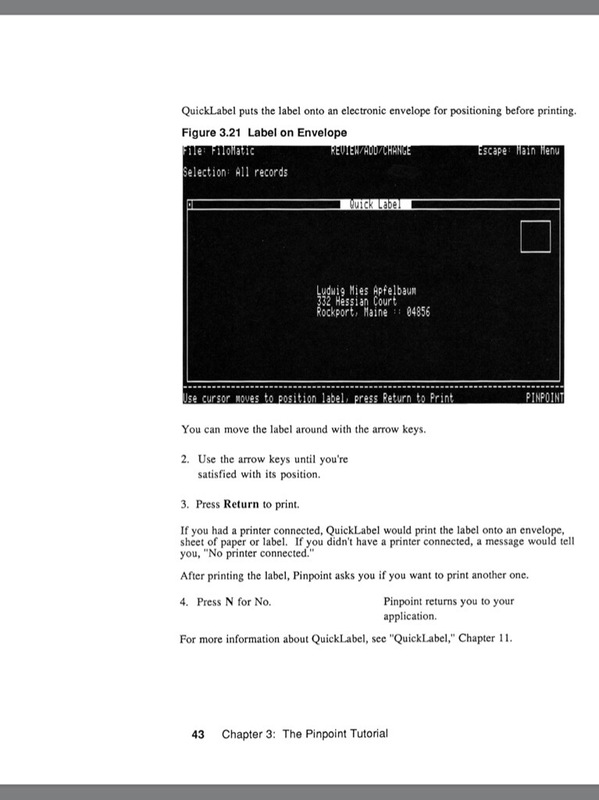 But I really did not feel the Mockingboard emulation was necessary in a IIGS given it’s inherent sound chip capability. So, I just attach the external Apple speakers to the sound port on the back of the IIGS. It sounds terrific as usual. Here is the cards from A2Heaven. The 8MB Ram Card, the Mega Audio Card and The FastChip//e. Across the top is a Tempered Glass Monitor stand. I like it as it allows me to see the light show, and easily access the slots. It’s very heavy as it’s meant to support large LCD monitors/computers e.g. iMac. Here’s the link. A SCSI Hard Drive in Virtual ][. This is a 2mg image I created in Virtual ][. It boots to Super Selector v3.22 which is a text based Program Selector. It works with a mouse or keyboard. I’ve also installed System Utilities v3.1, MouseWrite v2.6.8 and MouseCalc. I’ve already set the default startup subdirectories for MouseWrite, including Accessory and Speller (which you get to via Accessory). 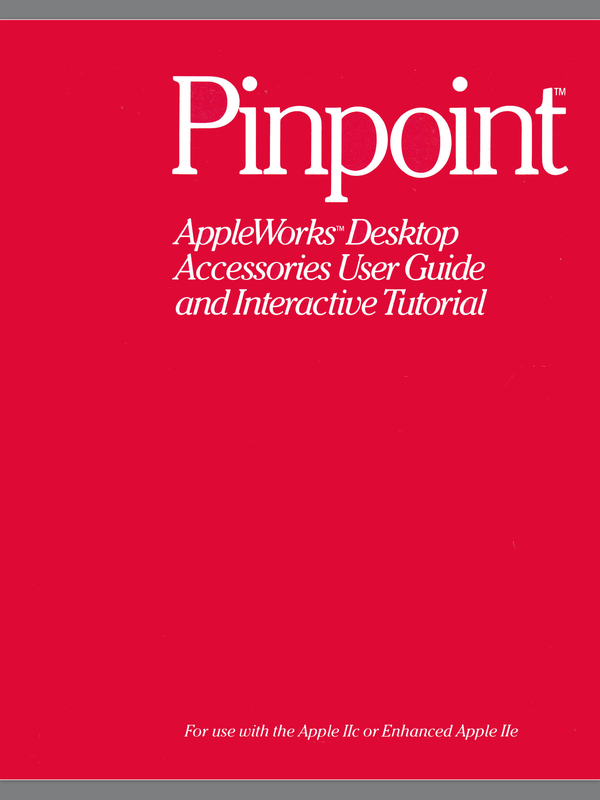 My updated version has AppleWorks 2,3,4 and 5, plus copyllplus9 and PublishIT4. 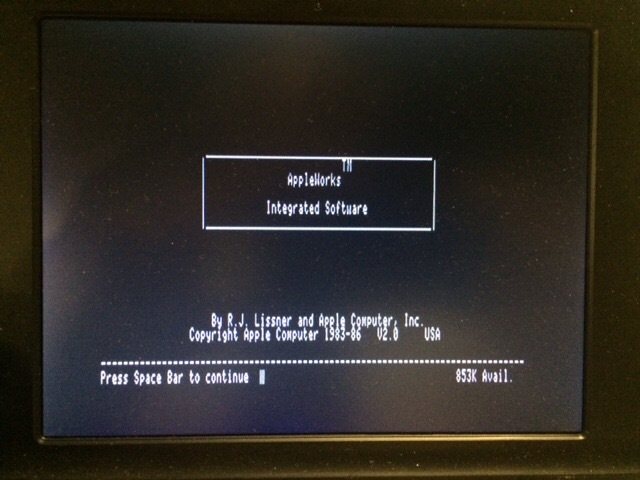 I have Super Selector on an actual scsi drive connected to my real lle. 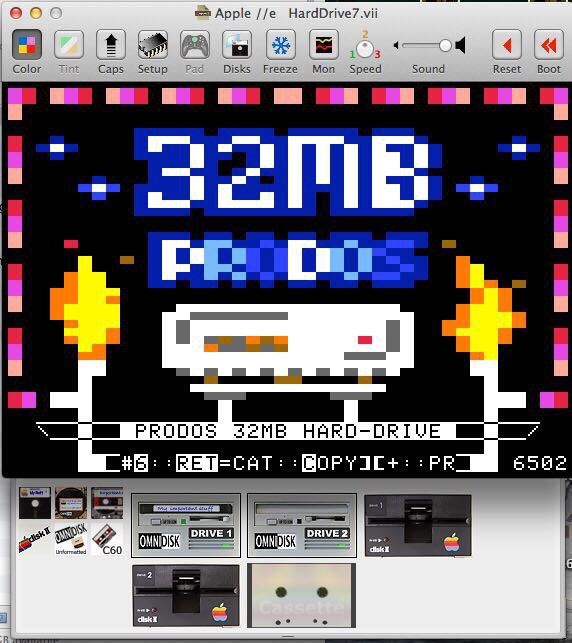 The original 32 MB image supplied by the group. Per Facebook Apple ll Enthusiasts forum. I have a question. Virtual II on my Macbook Pro has trouble with a 32Mb .po disk image (unrecognized format, it says). I imagine I will be able to use it with the Apple II emulator on Win, but I wanted to ask if anyone knows how to make Virtual II open such files. After all, I bought this software… Thanks!!! Courtesy of Mark Pilgrim who illustrated how to do this. 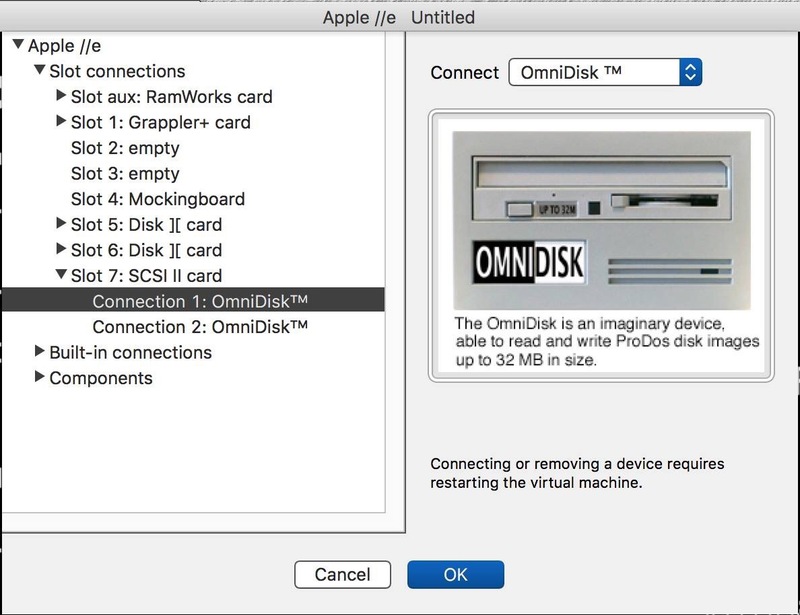 You need to convert it to a .2mg image with CiderPress, then go to Virtual II configuration and set up a SCSI II Card with an OmniDisk. 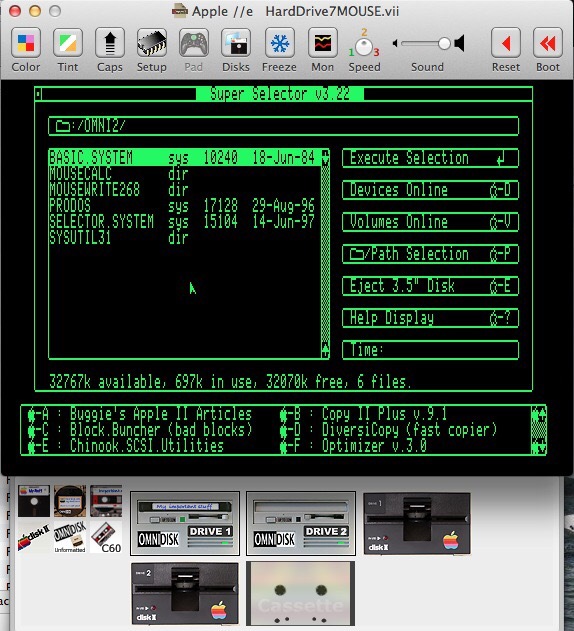 Then you can “Insert OmniDisk Image…” (under Media menu) to mount the .2mg image. 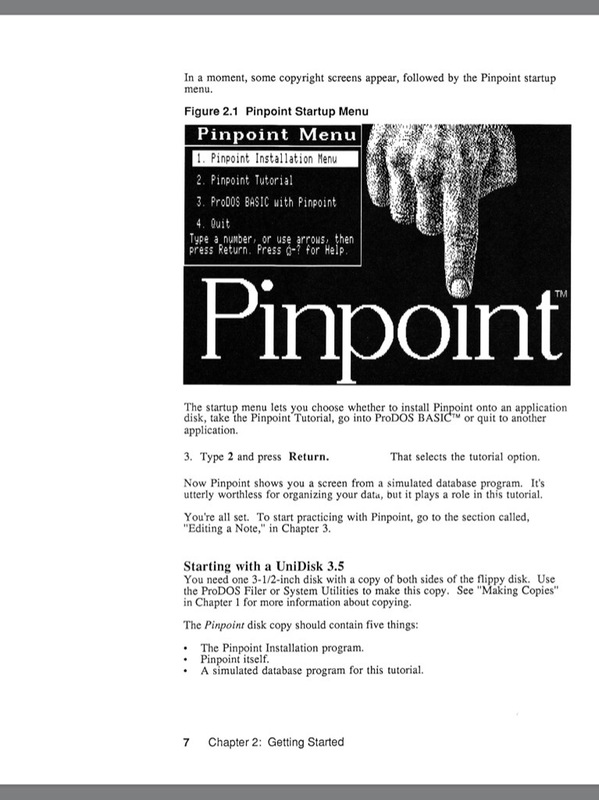 I created a 32MB Hard Drive image of AppleWorks II w/PinPoint installed in Virtual IIe Emulator . 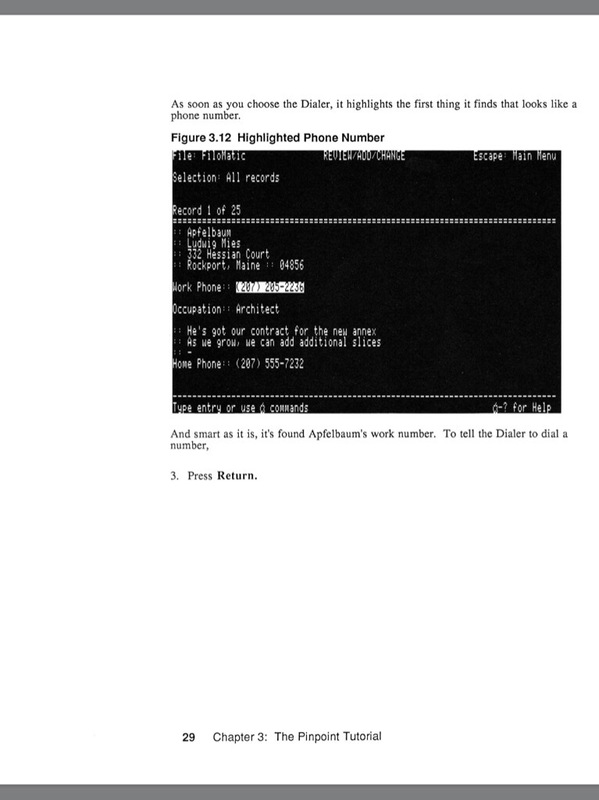 It boots directly to AppleWorks. There’s nothing exotic. 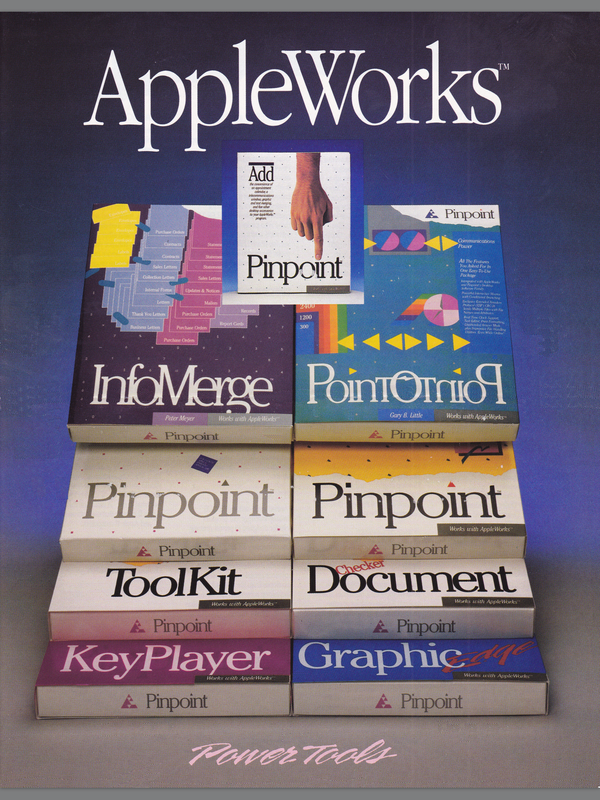 Just AppleWorks and Pinpoint. I was working through the Spell Checker, for the most part. 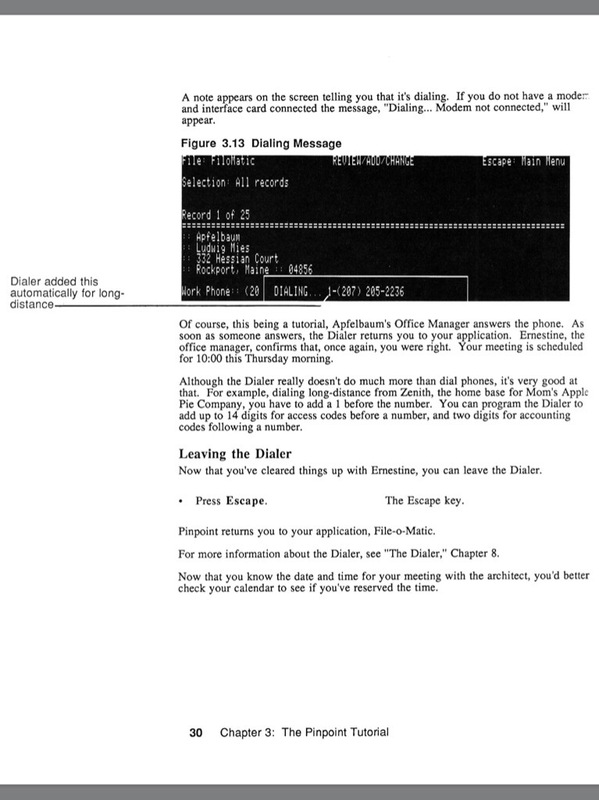 Running it all on UniDisk 3.5″ Drive attached to Liron card in IIe. Entries to Calendar. 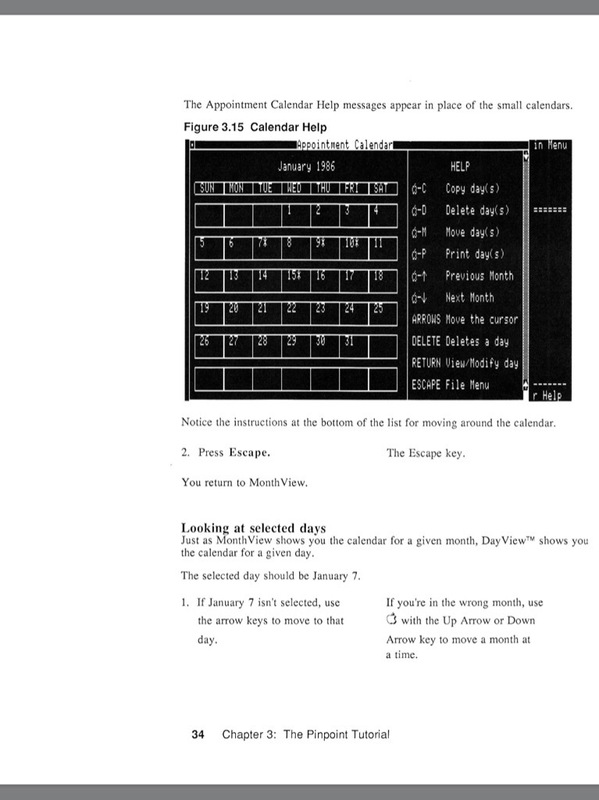 I had to scroll down with arrow key to get to 1990, which is the equivalent to 2018. 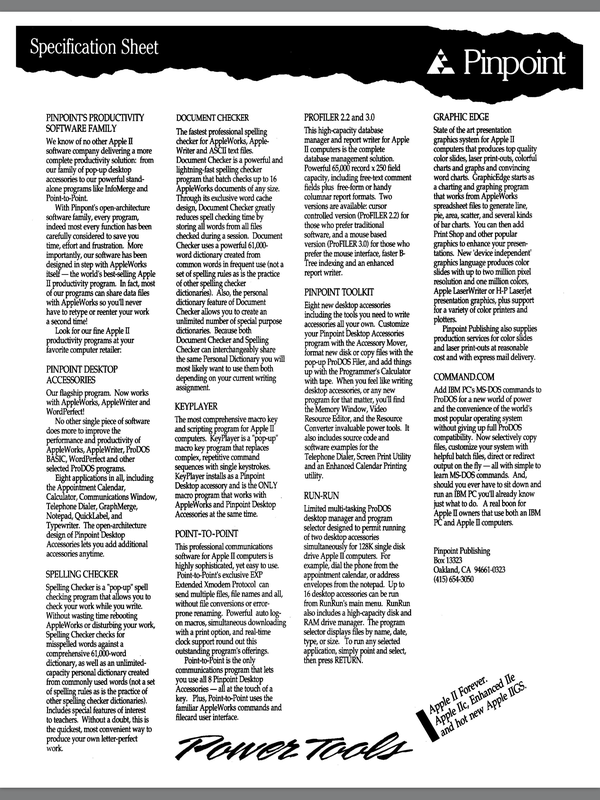 Some screenshots from the manual. The Logitech Wireless K750 Keyboard for Mac is working flawlessly with my Apple IIe via the purple Retroconnector Keyboard Interface card for the Apple IIe. I say purple since their latest version is white. See link below. I’ve had this older card for a while but just yesterday installed it. I’ve been performing tests for a few days with no issues. 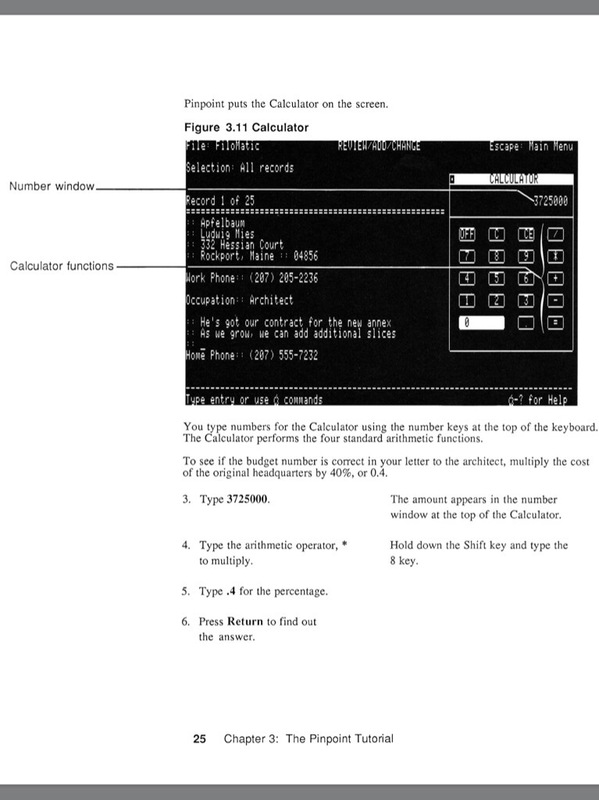 The Command, option, control keys work as do the arrow keys, and the 10 keypad on the right side. Thrilled. 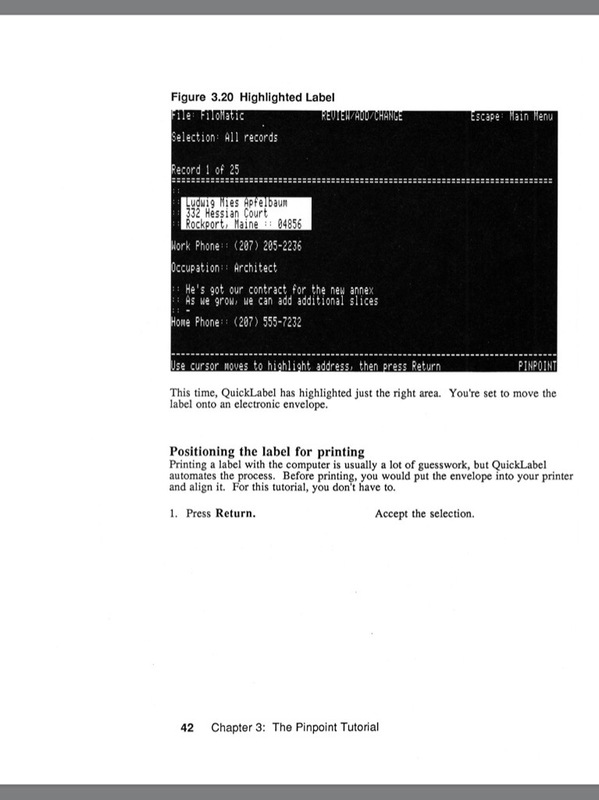 The pass through connection from the actual IIe Keyboard is working also. That is how I perform control-resets. 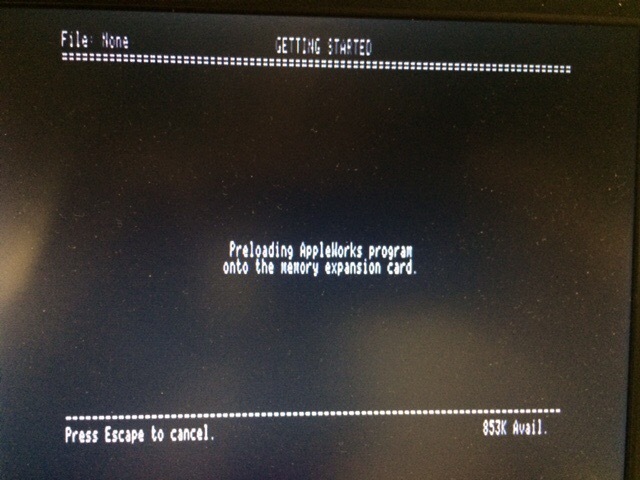 This older version of the card can not handle keyboards with usb hubs while the new version can. Below you see it under the right side of the case. 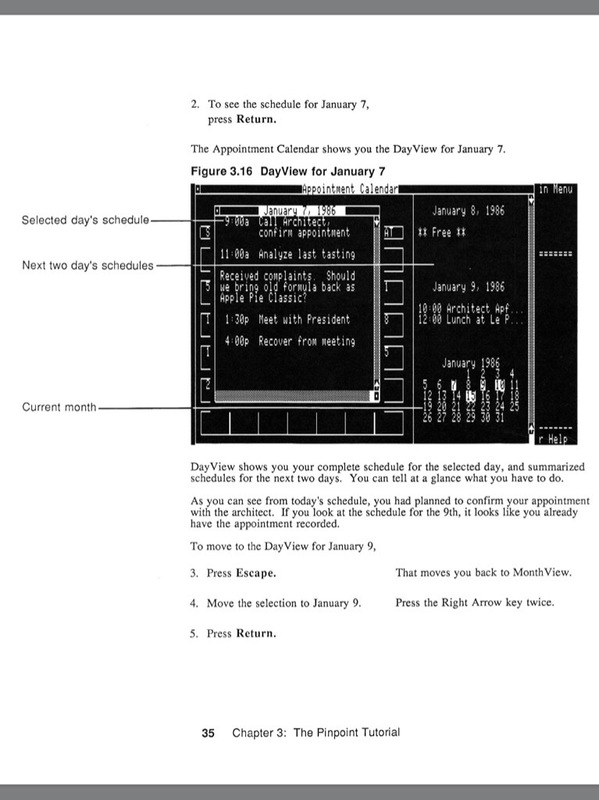 [ The new version uses a slot but does not interfere with operations ]. It took some finagling to get it under there and plugged in. But once you’ve done it a few times, no issue. Here’s the Logitech Keyboard. Readily available on eBay. I had mine for a couple years before I unboxed it. [ long story ]. Below are snapshots of my using it with pfs:Write and PublishIt 4. Below pics are on composite monitor and I’ve reduced resolution to save space. The IIe with its other stuff. You are currently browsing the archives for the lle category.